Mike Dowsett is a photographer living in Michigan, U.S. after immigrating from England. He grew up in the South East of England, racing motorcycles, playing football, cricket and fishing. Mike’s main interests are Eagles, Osprey, Owls and all "Birds of Prey in flight". "It is all about the challenge", the more challenging, the better. 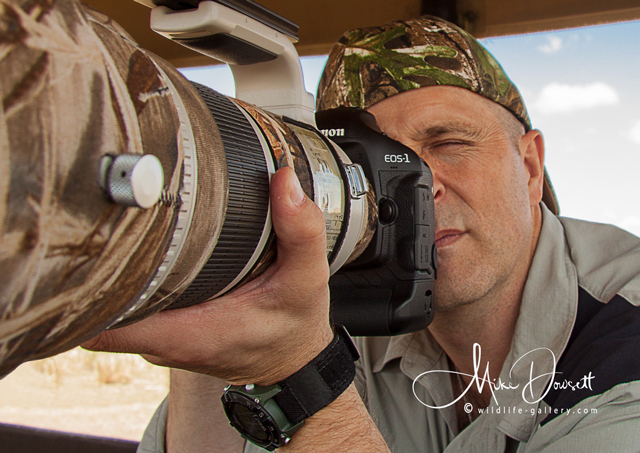 Mike has also photographed sporting events (motorsports and football/soccer), and is an experienced portrait photographer. Mike is well versed in both film and digital formats, and post production editing in Photoshop. Mike exclusively uses Canon Professional camera bodies and lenses. Mike is continually inspired by his family. His mother is an award winning painter, his father and brother are both gifted in carpentry.